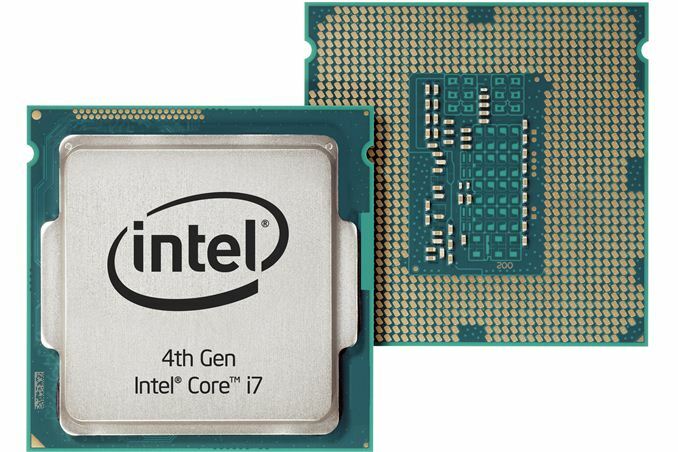 Intel has released the first stage of the Haswell chips. Already the specs and prices of the quad-core parts have been available. The CPUs feature Hyper-Threading Technology and iGPUs with GT2 graphics configurations. The K-series does not support vPro, TXT, VT-d, and SIPP although overclocking is supported in the 4770K. There is no Hyper-Threading in the Core i5 and there aren’t any Iris or Iris Pro Core i5 desktop parts. The K-series still lacks vPro/TXT/VT-d support in the Core i5 but an unlocked multiplier is included. Changes have been made to the naming scheme for the mobile side from the previous “QM” in Sandy Bridge and Ivy Bridge chips to “MQ”. 4900MQ, 4800MQ, and 4700MQ replace the previous Ivy Bridge chips 3820QM, 3720QM, and 3610QM. The two quad-core mobile processor families that have been released, the M-series and the H-series spot iGPU upgrades. Compared to the mobile H-Series processors, the CPU clocks in the M-series have a slightly lower speed. Haswell introduces improvements aimed at delivering better battery life. For now there are no Core i3, Pentium, or Celeron Haswell chips.